So I said I would keep doing these “Ebay Finds” posts when I find a good bargain on Ebay and this one is definitely a bargain for me so I thought I would share it with you all. I saw the Violet Voss Pro palette on someone’s YouTube video and fell in love with the shades and the packaging of the palette and knew I needed to add it to my collection, I saw the price tag and kind of couldn’t justify paying so much on a palette when I’m trying to save money so I had a little search on Ebay and found this palette for pretty much under £10 – Bargain! 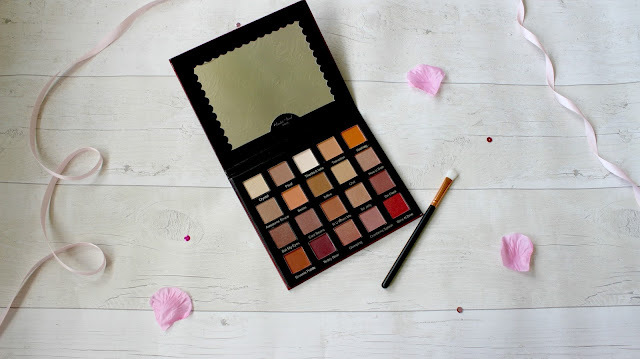 So let’s start off by saying I could compare the palettes but of course I don’t have the original so I couldn’t compare apart from pictures so I thought I would just review this palette like I normally would (I hope you don’t mind!) So let’s start with the packing the box it came in was very flimsy which with the price I wasn’t expecting something amazing but I throw the packaging away once I’ve taken pictures so I didn’t really mind that part of it but I thought I would mention it. 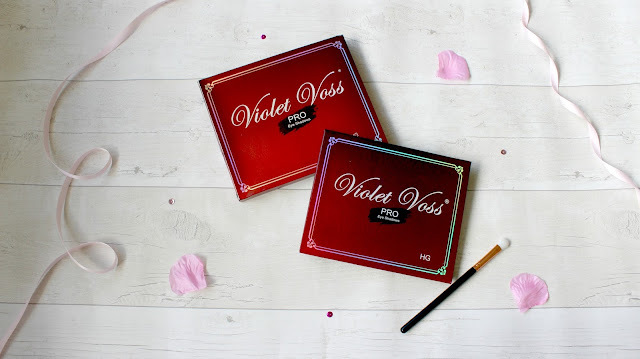 Packaging is stunning in my opinion and I’m not sure how it matches to the original but it’s a lovely deep red with holographic parts which I find so lovely and the actual palette is very well made I think so it’s a good all-rounder packaging wise. Inside the palette it has a lovely big mirror which is always a plus for me when it comes to palettes but I also love the scalloped detailing around the mirror I think that has to be one of my favourite parts of the palette. So the palette has 20 shadows which range from shimmer to mattes and orange to deep purples so this is definitely my kind of palette. You get a lot of product in each of the shadow pans so they will definitely last a long time. I just think this palette is very attractive and it’s so easy to photograph – Kind of a strange thing to say about a palette. So onto the shadows the mattes for me are perfect the pigment is amazing and they blend so well which I’ve used most of the orange shades in my crease and the dark browns to deepen my eye look up so they work perfectly for me, Onto the shimmers which is where the palette starts to go downhill for me as in the pans the shimmer shadows look amazingly pigmented and look stunning. 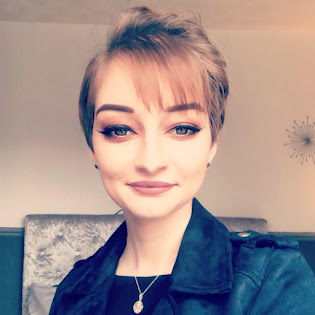 As soon as I put my brush into one of the shadows the shimmer disappeared but I thought I would apply it to my lid to see how it applied and there was literally nothing on my eyelid – Nothing at all. I kept applying but there was just no pigment coming onto my eyelid which was so disappointed but also when I then applied some other shimmer eyeshadows from another palette I found it so hard to blend which was so strange. So I have kind of stayed away from the shimmers in this palette which is a little disappointing but I have to admit I do still use this palette for the matte shades as I find them so well pigmented and amazing to use so I have to say I would repurchase this palette. So overall for the palette as I said this was under £10 but the packaging is absolutely stunning and most of the eyeshadows are actually wearable but of course a few of the shimmer eyeshadows aren’t the greatest to use but I just stay away from these ones and use the rest but I have to say this is slowly becoming one of my favourite palettes and for under £10 it’s perfect. Do you know of any good Ebay finds?